Even a completely successful knee replacement surgery procedure will involve a great deal of pain and suffering as the patient heals from his or her wound and builds up strength. 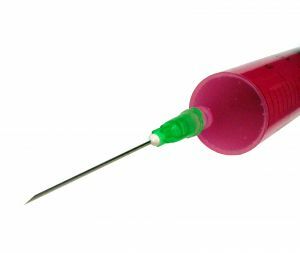 According to a recent news article from HCP Live, a new injectable medication administered during total knee replacement surgery may help alleviate much of the pain following surgery. The new drug being studied is called liposomal bupivacaine, and is injected into tissue surrounding the knee during total knee replacement surgery. Researchers hope it will provide considerable relief from pain expected to follow surgery. Researchers note pain from the injection is comparable to pain from knee replacement surgery and has been shown in studies to provide patients with up to two days of pain relief following surgery. These two days of pain relief have allowed patients to use their new knee sooner, which can greatly decrease recovery time. Patients who received injections were able to walk just hours after total knee replacement in some cases. This is very important as immobility following surgery can lead to other dangerous conditions involving blood clots. The faster a patient can move around, the better. Drug studies involved a group of 216 patients. Half of patients were given this new injection while remaining half were given a continuous femoral nerve blockade. Patients with traditional treatment were still seeing a reduction in pain, but they had more difficult moving due to the femoral nerve being sedated. This led to uneasiness in walking, and a longer recovery time following surgery. Researchers are constantly looking for new ways to make total knee replacement easier for patients as the number of knee replacement has tripled between 1993 and 2009 according to hospital records. Despite these promising results, Boston knee replacement injury lawyers are still hearing from new victims of total knee replacement surgery complications. Even if surgery is properly performed, and latest pain management techniques are employed, implantation of a defectively designed artificial knee will still lead to trouble. Some devices will fail a short time after being implanted. U.S. Food and Drug Administration rate these devices as having a 15-year average life span. A properly designed artificial knee should not be failing within three years of being implanted. Other artificial knees are working themselves loose and causing considerable pain and suffering before having to be replaced. Some artificial knees are actually being recalled by manufactures. If you have had a total knee replacement in Boston and are told you need a second or subsequent surgery to correct the damage done by your artificial knee, you should contact a lawyer who regular represents victims as soon as possible. Even if your medical insurance provider or the manufacture is willing to pay for your second artificial knee, you should still be compensated for your pain and suffering, and any lost work due to increased recover time of having additional surgeries. Not only have some artificial knees been defectively designed, we know medical device manufactures may have known about these risks and failed to adequately warn doctors and patients.